Thank you so much for coming to our donation page. 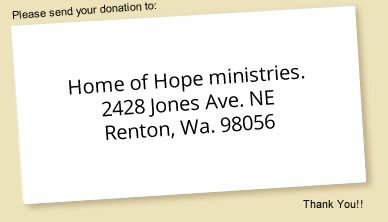 Home of Hope is a government licensed facility but, unfortunately, we do not receive any government funding and rely completely on donations from charitable groups and wonderful people like yourself to help us meet expenses. Many of our children require regular medical visits, surgeries, drug treatments and rehabilitation services to help them grow stronger and become more self-sufficient as they grow into teens and young adults. 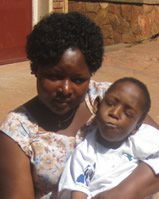 Your thoughtful donation will directly benefit the children at Home of Hope and help us to provide the best care possible in a loving and nuturing environment. Far too often, our dedicated staff members voluntarily give up their pay cheques to buy essential items for the children when our monthly income falls short. Donations can also be made by mailing a cheque or money order to the address below. When mailing a donation (which could take up to 2 weeks to reach us), please take a moment to submit the pledge form below so that we may include your "donation-in-transit" as part of our budget planning for the upcoming weeks. 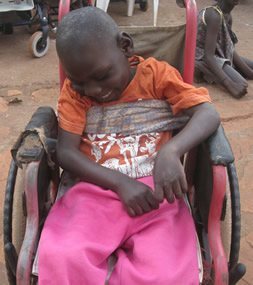 We will notify you by email when your cheque arrives at Home of Hope and again when your cheque clears through our bank in Jinja. All donations, no matter what the amount, are much needed and welcomed with the utmost gratitude. On behalf of myself, our staff and all the children at Home of Hope, may God bless you and thank you so very much for your thoughtfulness, love and kindness. Your Kind Pledge to Home of Hope - Thank You! Feel free to send along any comments or questions you may have.